Pulse Emitter is the project of Daryl Groetsch from Portland, Oregon. 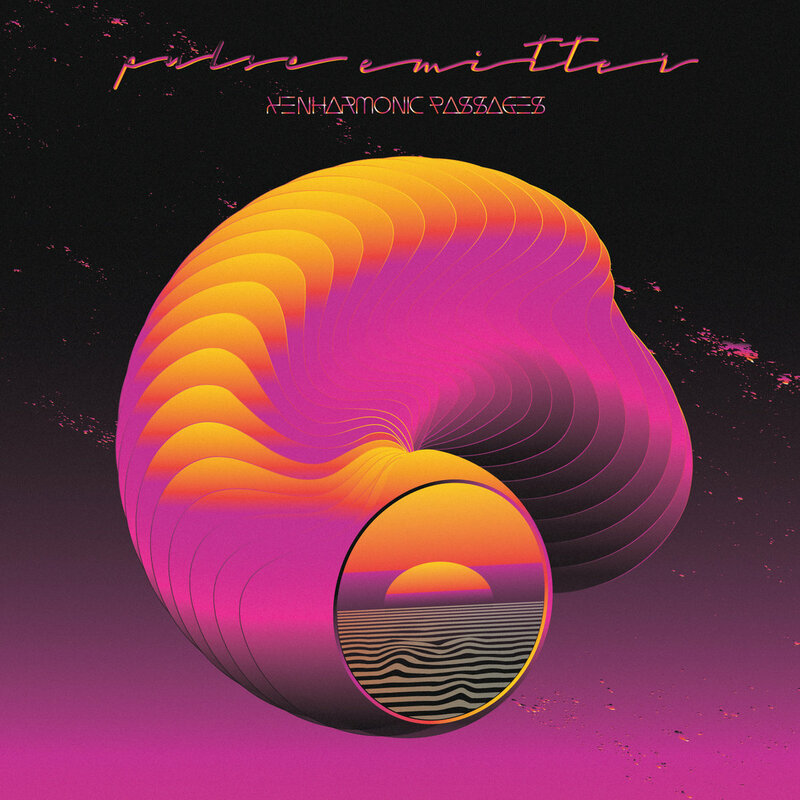 Xenharmonic Passages is the perfect synth atmosphere for meditation or zoning out late at night. All tracks flow as if they were all one, setting in motion a voyage to icy caves in outer space. 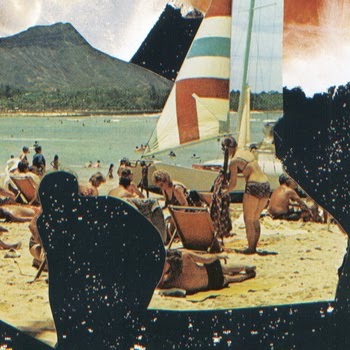 It is super spacey, atmospheric microtonal ambience with frosty swirls and faint drums. 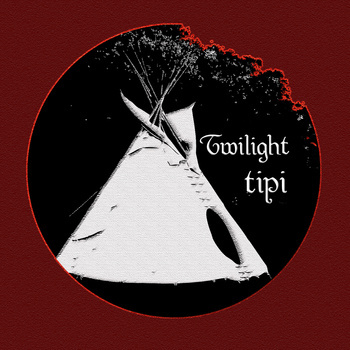 Twilight Tipi are Rob Boyd and Kris Thompson. Amazing composition of spacey and expansive music. But rather than with synths, it is composed with old-school instuments: theramin and guitar. This blew my mind when I heard it. All I can say is, wow! French Canadian Frank Ouellette is the mastermind of Hobo Cubes and is apparently a fan of the television series The X-Files. Timeless Mindless is a soundtrack, of sorts, of a particular X-Files episode, the one where Maulder and Scully are talking about dolphins and dolphin safe tuna. This is an ambient drone atmospheric album of synth creation. Sure to envelop the starchild in you. Versions redux came about as a result of remix swaps by Andrew Duke and other artists. Appearing on here are Chaircrusher, Stefanos K, Monkey Harris, Detroit People, and Hemiptera. There is girgly glitch, claps, danceable rhythms and warbly sounds to dance to. San Francisco based Josh Pollack is a turntablist and makes his creations from samplers and vinyl records. Here is some choppy-sounding, dark humored mixes that segue into each other as a type of sci-fi, zombie theme, quasi-movie soundtrack. A seamless odyssey of oddities. This Irish fellow who now lives in New York has a solid family history of music involvement. His father, brother and cousin are jazz and hip-hop artists. Lucky 9Teen is Mike Slott’s debut album. It is mellow, yet sizzles with pleasant surprizes. Quirky sounds and beats, playful, hip-hop influences and it’s just the right blend of all these and pops out at you. Looking forward to more releases! Kieran Hebdan has been inactive for the last five years as far as his own material goes. He has been busy creating remixes and collaborating with Steve Reid. His latest release, There Is Love In You is lovely, hypnotic, minimalist dance music, with some hazy electronics layered over contrasting dance beats. This sprawls over numerous music styles from the jazzy to house rhythm and textures, but playful. All fun and cute, loops, drums and childlike at times. Oakland based artist, Matt Davignon has been producing stellar experimental sounds since he was a teenager. Since 2004, he has been using a drum machine, which he plays manually and then processes the sounds. Living Things is like looking at tiny creatures in nature under a microscope – you hear chirps, whirrs, gurgles crackles and many other sounds. Nifty! Kotoscape, composed by Wally Fields, is an experimental approach to Koto music. Wally recently acquired a Koto just this year, in February 2009. Kotoscape is an electroacoustical improvisation, and layered with electronic loops. Microphones were used to create some effect to echo the sound. To get the full experimental sound, the Koto is slightly out of tune. An excellent work created on the fly. Isreal M, a.k.a, Isreal Martinez, an electroacoustic and experimental sound artist based in Mexico. Nareah, his first solo album has a theatrical feel to it. It has six tracks, segued, one flowing into the next. It is ambient and ambient noise and field recordings, but, with a sense of humor. Israel likes to surprize you with things you won’t expect, such as ducks quacking, swimming around and splashing in the water. Chuckle time! Guillaume Gargaud is an artist based in France. His album, She, is dark drone, ambient electronic, mostly buzzing and insect invoking. It is mostly a mix of electronics, sounding like insects or frogs in a subtle way. Guillaume keeps the listener guessing and intrigued. The sound is perhaps inspired by nature, sometimes at its creepiest. The album also features some of his dreamy guitar work on track 5. Track 8 ends softly. The fellow behind Terminal Sound System is Skye Klein. He has produced this smashing and seamless fusion of rock, drum and bass, and jazz. Skye has gone the distance combining these elements and more into this release. It’s eye popping and cleverly mixed?? ?richly layered textures. Blazing rock in the first four tracks with jazz and drum and bass, later mellows out to the softer side of jazz and rock. For the most part, it takes interesting turns and will exceed your expectations. Svarte Greiner, aka Erik Skodvin, continues to seduce listeners with his brilliant work. This guy is extremely gifted in the way in which he hypnotizes the listener, completely enveloping them into his spell. This release, Man Bird Dress, has three intense tracks, created with string instruments and indistinct sound effects with each track building to a climax. It’s just as suspenseful as his previous album, Knive. Ominous sounds of squeaking, scraping and percussive thumps make you wonder what he is really doing as there is more going on here than meets the eye. As always, I look forward to his next album coming out next March.